No cherry blossoms. No sunsets. None of the postcard-pretty Washington, DC, that you’ve seen a million times before. Instead, ballerinas at rest. Shirtless men outside liquor stores. And a blue bus that catches the eye of a photographer who bikes everywhere. 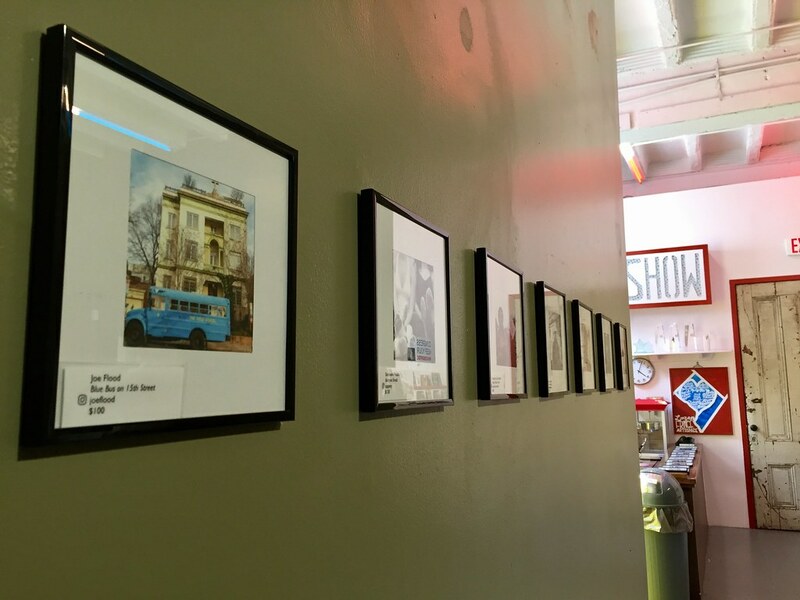 It’s the Community Collective Photography Show, opening this Saturday at the Capital Fringe Festival. 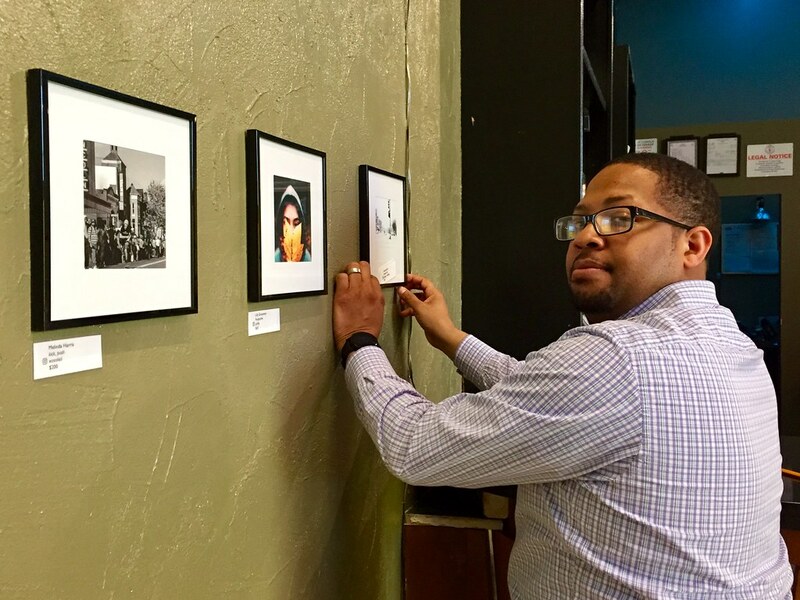 48 photos of the people and places beyond the monuments, organized by Jarrett Hendrix and Karen Ramsey, and selected by a panel of local judges. Dozens of visions of the real DC, featuring perspectives on city life that will surprise even long-time residents. Jarrett Hendrix carefully hangs photos in the Fringe bar. The photos are framed with white space to draw the viewer in. We want you to get close. I have a photo in the show. I like wandering the city with a camera, looking for little moments that stand out. And I’m glad to know many of the other photogs, who I’ve met through InstagramDC. It’s amazing to see their diverse perspectives of the city, every one of them choosing to focus on a different aspect of urban life. Take one home! The photos are for sale, with a portion of the proceeds going to support Fringe. With the prices quite reasonable (my print is $100), it’s an opportunity to add a little square of DC to your walls. Next Next post: What Price Louisville?